Websters defines it as "the quality or state of being healthy." Chiropractic can help you obtain the highest quality and state of being healthy through increasing the neurological function of your body. Once we have gotten through the relief and restoration phases; the body will need to be tuned up once every 1-4 weeks, depending on your past and present lifestyle. We all go to the dentist every 6 months to keep our teeth healthy and functioning. You only use them 3-6 times a day. 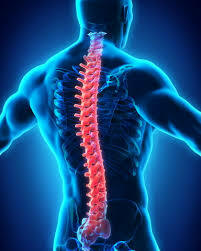 Your using your spine 24/7. Chiropractic gives it the assistance it needs to function at its peek. Wellness is not only for tune ups. Wellness care can be utilized as a means to provide the best performance of your body. Many professional, amateur and weekend athletes will get an adjustment before an event or game to maximize their bodies potential while competing.